Luncheon to follow from 1:00-4:00 p.m.
Bob Palmer was a resident of Churchville, Pa in Bucks County. Bob lost his battle with cancer on June 23, 2010 at the age of 56. Bob was the devoted husband of Dolly, the father of four children and a proud grandfather. Bob was also the co-owner of Palmer Waterproofing, Inc. along with his brothers Joe and Mike. 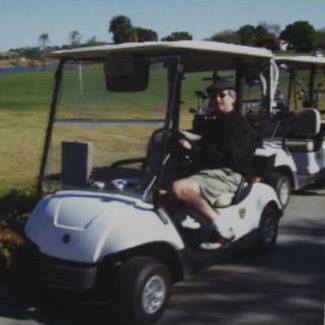 Bob’s love of golf is the inspiration for this outing. The proceeds from this year’s event will go directly to Pixie Dust Wishes and The Ronald McDonald House. Pixie Dust Wishes provides a magical Disney experience for children with special needs and their families. Go to pixiedustwishes.com for more information. The Ronald McDonald House keeps families with sick children together and near the care and resources they need. Thank vou for vour support!! !